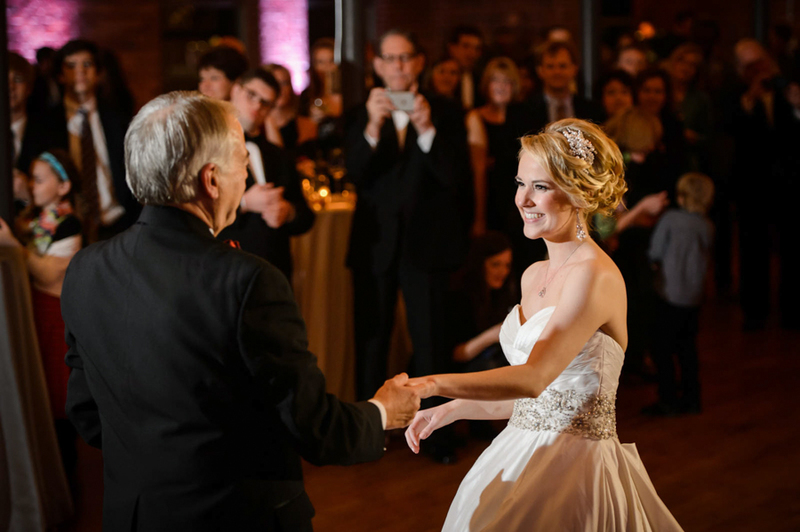 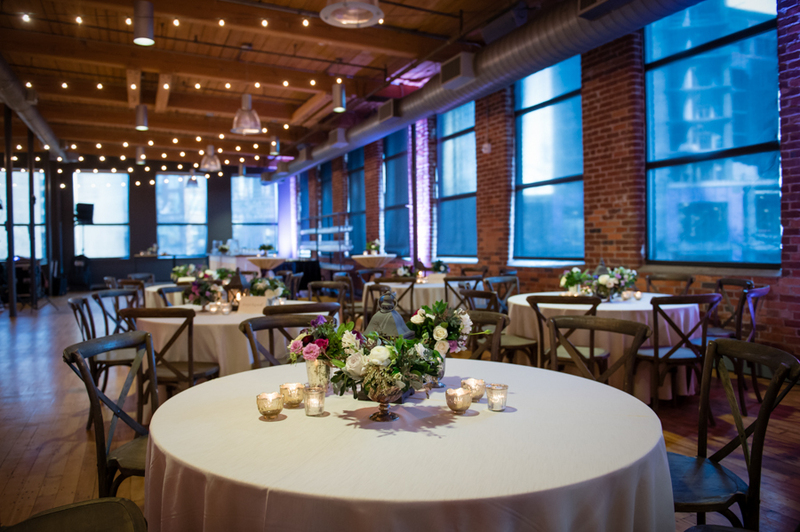 The Certus Loft at the Peace Center (formerly Huguenot Loft) is a favorite wedding venue of ours for several reasons. 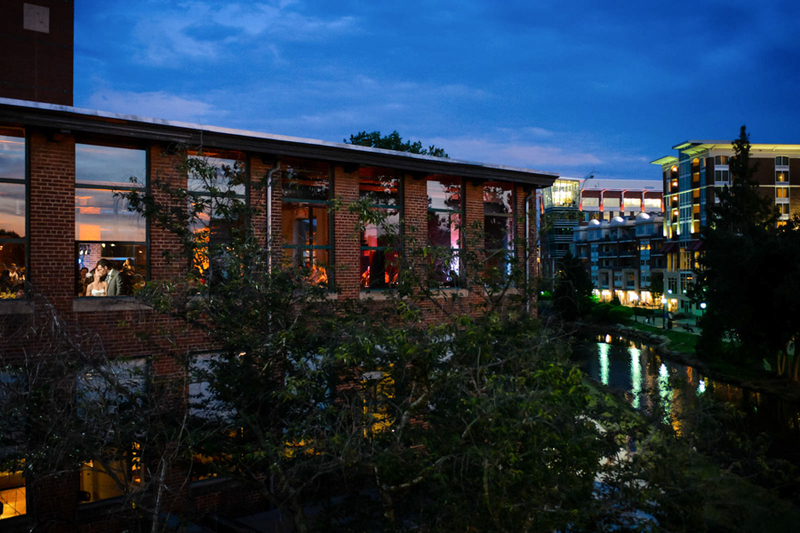 The first is its location on the river in the heart of downtown, surrounded by picturesque spots with views of quintessential Greenville, SC. 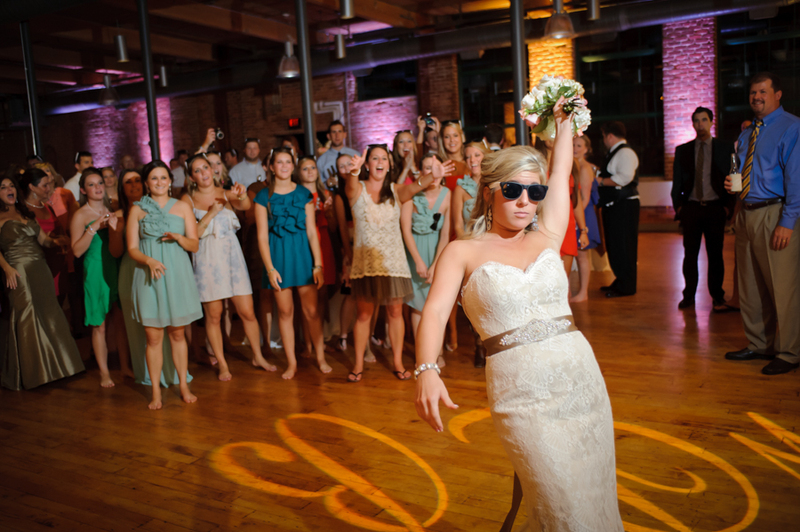 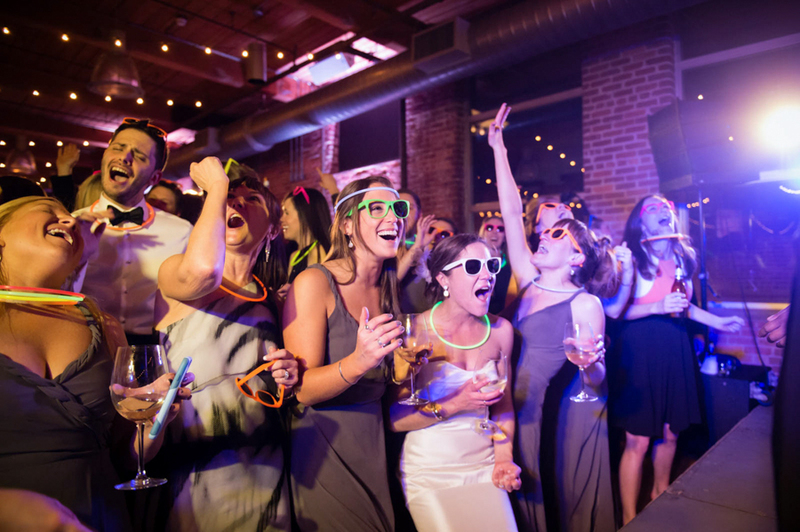 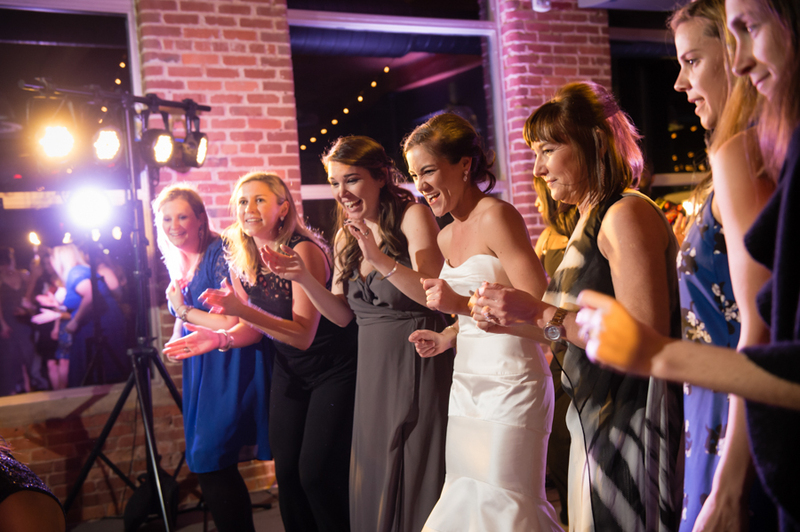 It’s also one of the largest wedding venues in Greenville and can entertain up to 400 guests. 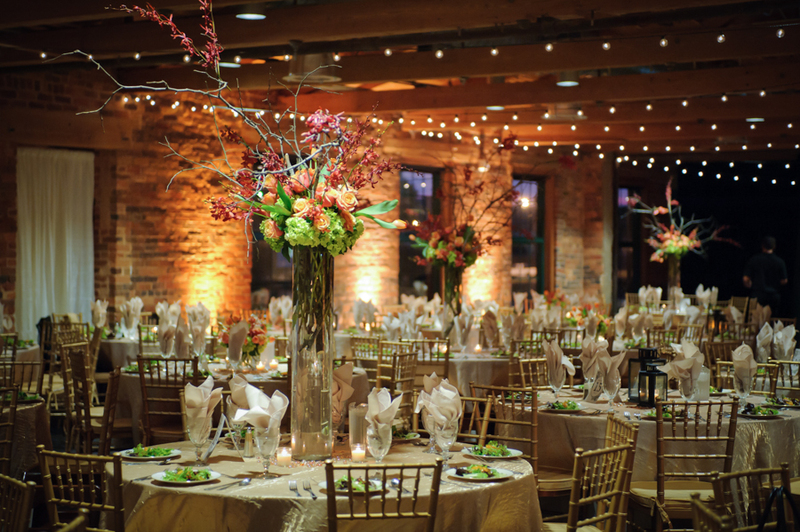 The 8,400 square foot facility has two separate rooms that can accommodate both a ceremony and reception. 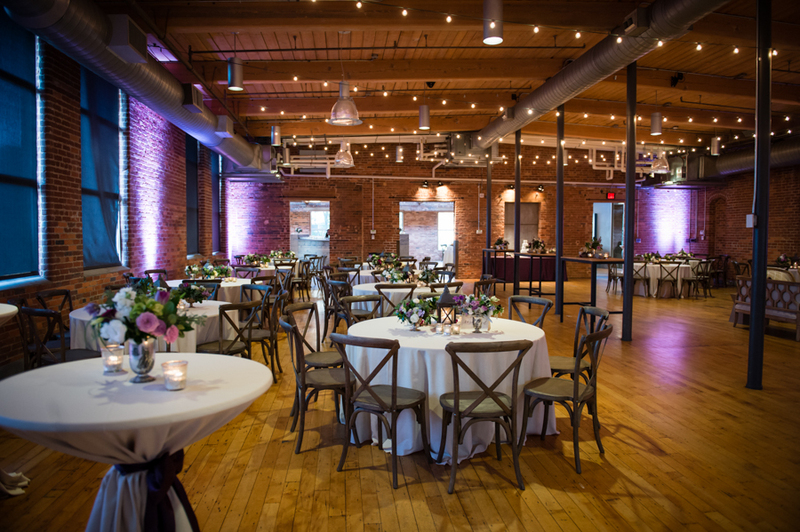 The rustic yet stylish theme is infused throughout the space from the charming original wood floor planks, exposed wood beam ceiling, and handmade brick walls. 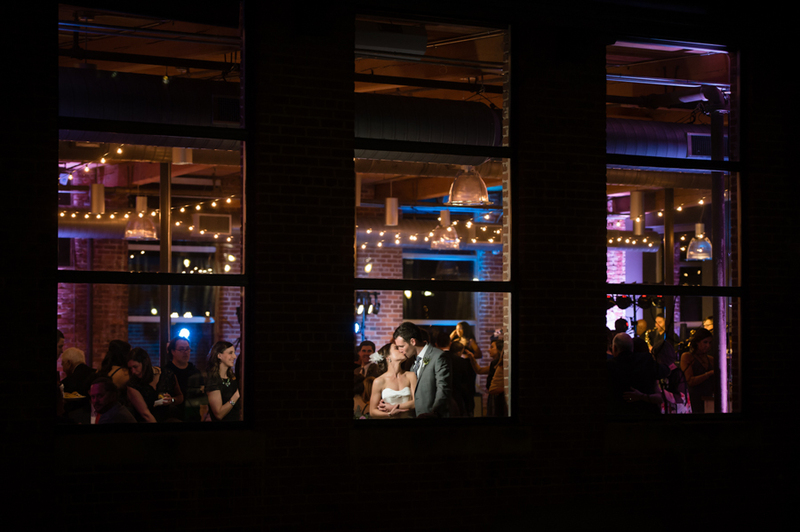 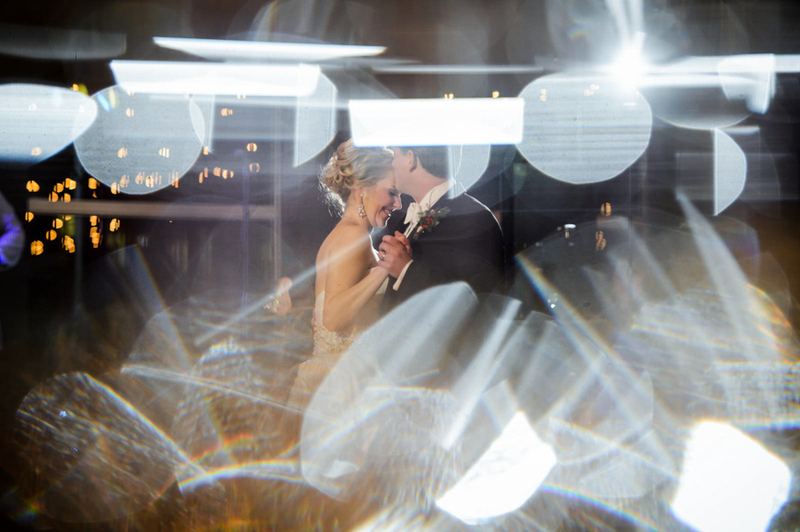 Wedding guests can admire the sun setting over the Reedy River from the enormous windows that line the space. 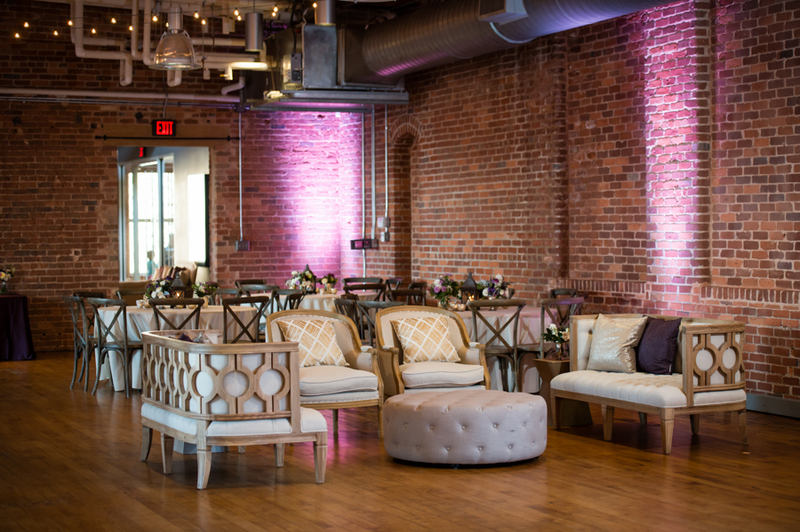 And we as photographers are so impressed with the staff of the Peace Center in their ever-constant upgrades to the facility, entryway, and lighting due in large part to a generous donation from the Certus Bank in 2012. 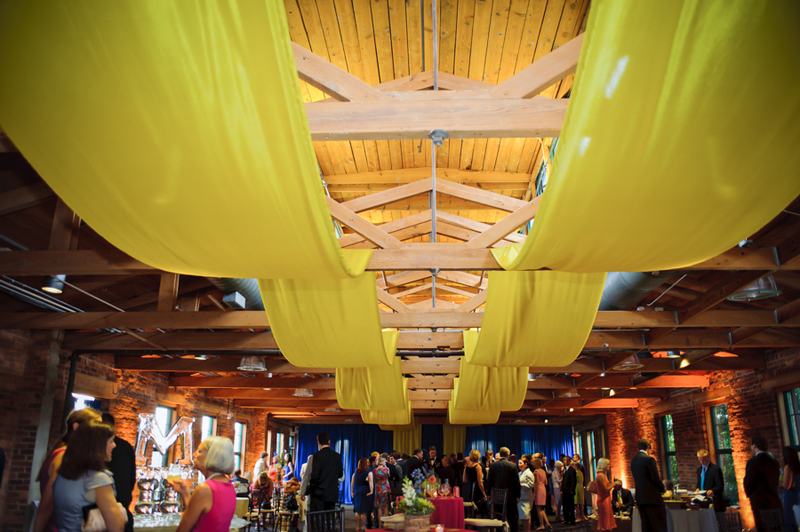 That gift resulted in the re-naming of the Huguenot Loft to the Certus Loft at the Peace Center. 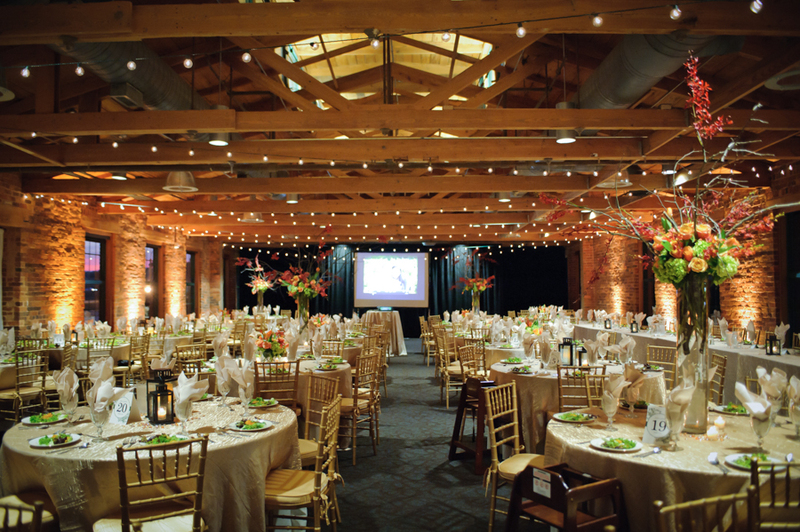 The two-story L-shaped cotton mill built by Charles Lanneau is one of the oldest structures of its kind in Greenville. 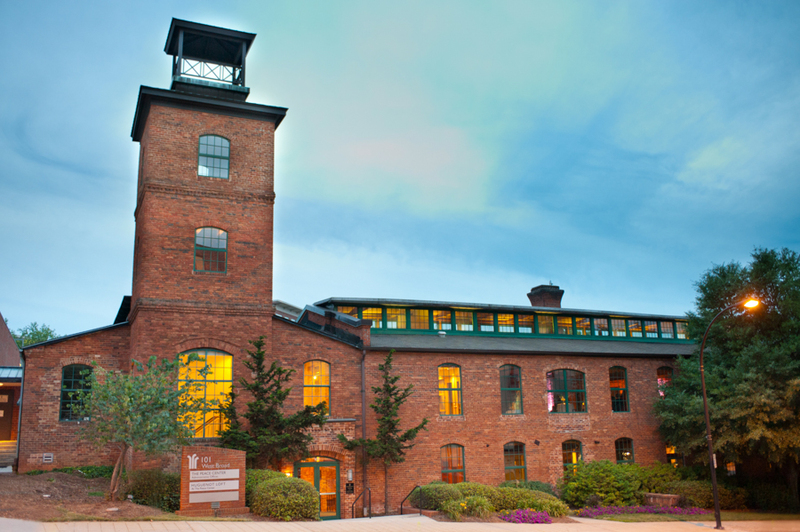 Built in 1882, it was unique even in its day, as one of the first coal powered mills in the upstate. 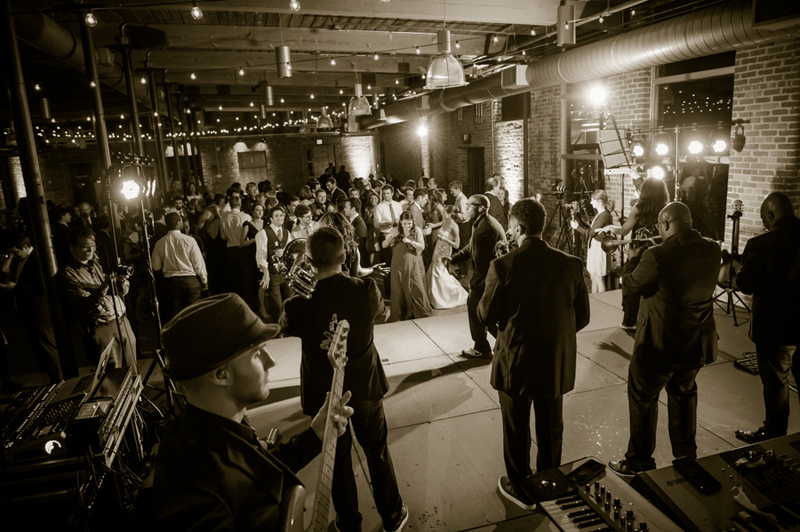 The Huguenot Mill was used as a garment factory until 1980 when it and the surrounding property (known as the Reedy River Industrial Complex) were acquired to build the Peace Center. 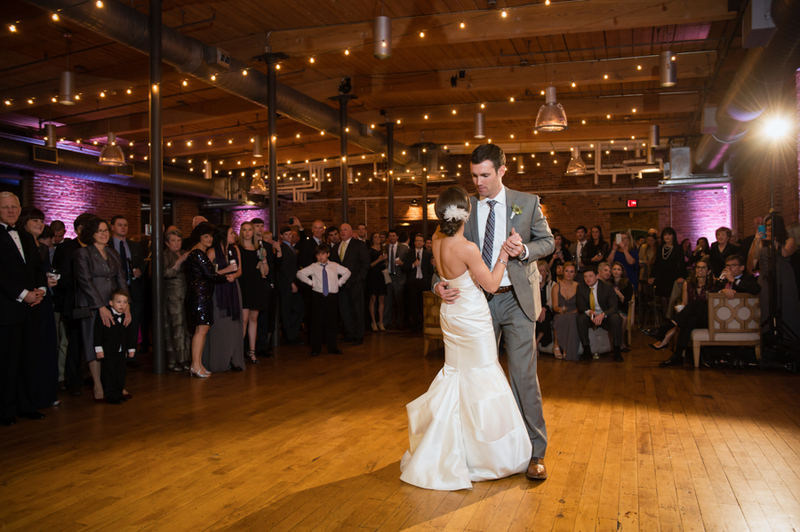 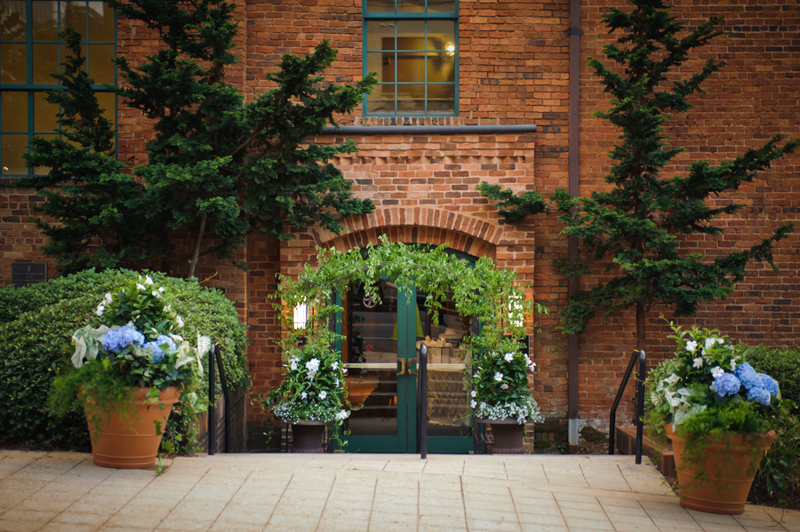 The Harper Corporation took on the task of renovating and restoring the mill to its current condition as office space on the first floor and a wedding and event venue on the second floor.